You know, I’ve been thinking about so many different things lately, I don’t know where to begin! I’ve been thinking about this website and what joy it brings to me to share my recipes with my readers and followers. I’ve been thinking that this January means the start of a whole new year for many people and that so many people joyously take this as a step toward being better, healthier and kinder. This of course led me to ruminate about the challenges that adopting a healthier lifestyle can entail. About how you can optimize the chances for success when changing your dietary habits. But mostly, I’ve been thinking about breakfast. The great thing about writing your own blog or website, is the fact that, like any conversation, it has a life of its own. I know that I have spent the last couple of posts discussing grains and rice and the way they can be incorporated into a gluten-free diet. There is, of course, much more to say on this subject and its related topic, pasta, but for now, I want to veer course just a bit and steer the conversation towards that most important meal of the day, breakfast. We all know and have been told over and over, by our mothers, our nutritionists, our newspapers and our doctors, that you need breakfast to start your day off right. That without breakfast, it’s harder to concentrate, to focus and to make it all the way to lunch without your blood sugar dropping causing nimble fingers to reach out for a donut or some other mid-morning sweet. Our elders, in their infinite wisdom, knew the importance of nourishment in the morning without having all the scientific facts at their disposal. They knew that to be both physically and mentally sharp, you needed to start the day by consuming both a complex carbohydrate, such as some whole grain bread, as well as a protein, say, for example, an egg. Now, admittedly, there is scientific research to back up what our sages have long been telling us and what we’ve known all along. Let’s start with the need for protein. Protein levels our blood sugar and prevents us from getting too tired or hungry. Protein helps you focus and concentrate. Eggs, despite the unwarranted bad rap they’ve had for the last while, are a great source of both protein and heart healthy fat. This is true for people of all ages. So whether you’re heading off to grade one, to university or to your bridge club, it’s important to consume not only some protein but omega 3’s as well. Omega 3’s have been shown to keep your mind razor sharp and to help minimize memory impairment. Protein and the B vitamins also help “lubricate and insulate” the nervous system and keep it running efficiently. The nervous system is more than just the brain and the spine. It branches off repeatedly and extends to all of our limbs, including our toes and fingertips. Through the peripheral nerves in these areas, we are able to tell if something is too cold, or too hot, how much pressure to apply to an activity or even if we are in danger. Having our nerves properly set at the beginning of the day, helps keeps us efficient and safe. 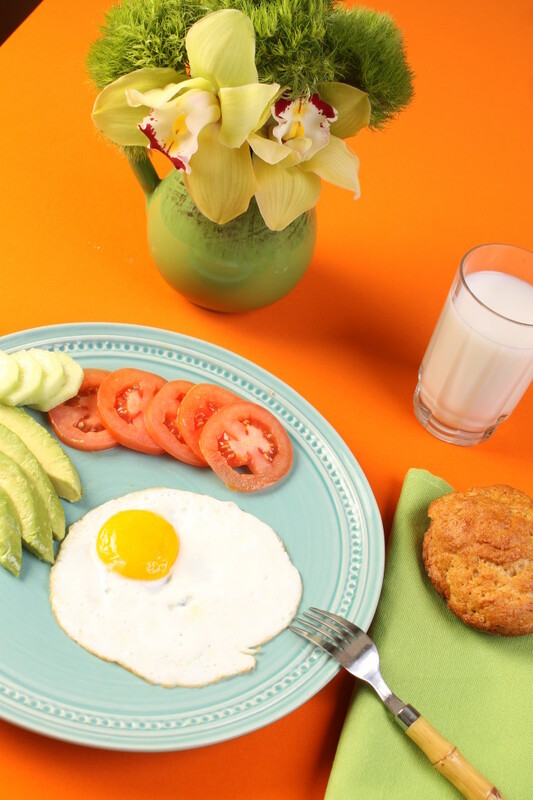 There are tons of ways, aside from eggs, to introduce protein into your morning meal. Try lox or smoked fish, cream cheese or a vegan imitation cream cheese or any of the large varieties of nut butters or sun butters that are out there. 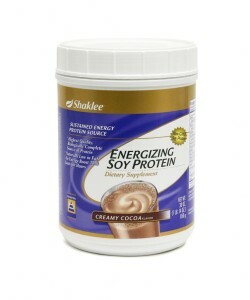 There are also many wonderful protein powders available. I myself prefer the Shaklee one; they have a non GMO soy based product as well as one that is a rice and soy combination. Buzzed up in a blender or food processor with some frozen mangoes and strawberries, water, or milk, these smoothies are a great way to start your day. I have found that children especially like the chocolate flavored ones – you might even want to tempt them by calling it your morning milkshake!! It’s also really important to make sure your morning repast includes some of the B vitamins, most commonly found in whole grains and dark leafy vegetables. So be sure to keep on hand a variety of options such as Gluten-Free Whole Grain Rolls (see recipe section under Breads and Rolls) and bread, gluten-free oatmeal, gluten-free granola or granola bars and oat flour based muffins. 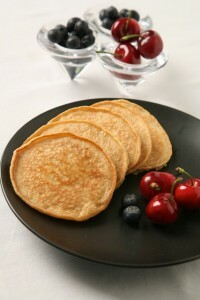 I know how hectic the morning can be and I’m sympathetic to how challenging it can be to not only come up with ideas for breakfast but also make sure that you and your family actually have time to eat it. I have found that making things in advance and freezing them individually helps soothe th e morning rush. 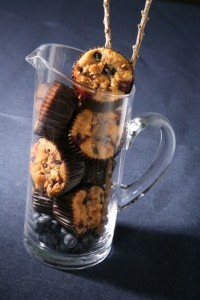 For example, Apple Blueberry Oat Muffins in my Cookbook Gluten-Free Goes Gourmet, page 224 can be made ahead of time, wrapped individually in plastic wrap and then frozen. 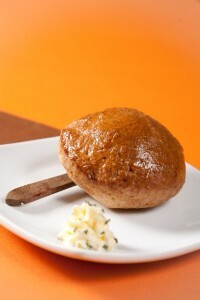 Simply remove them from the freezer just before retiring for the night or heat them the next morning. The same is true of any rolls that you might serve for breakfast. Several other recipes can be made the night before to be used the next morning. 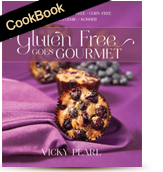 For example, the batter for my Mock Cheese Latkes, found in my Cookbook Gluten-Free Goes Gourmet, page 142 can be stirred together and left to sit in a covered bowl in the refrigerator overnight. The next morning, after a quick re-stir, the batter is ready to be ladled out and grilled. I’ve also compiled a quick list, by no means comprehensive, of gluten-free breads and cereals that should be available in your area or online. Please make sure they meet your standard of Kashrut. 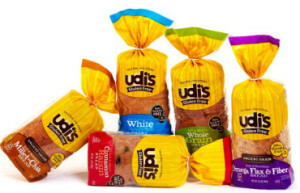 Udi’s has several different breads available, as well as buns and rolls, including those that are whole grain. 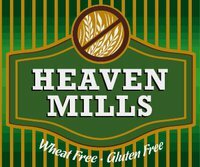 Heaven Mills has several different breads, challahs, rolls and a whole grain pita. 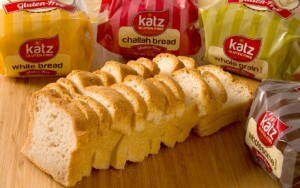 Katz has many different breads, rolls, challahs as well as hamburger and hot dog buns. 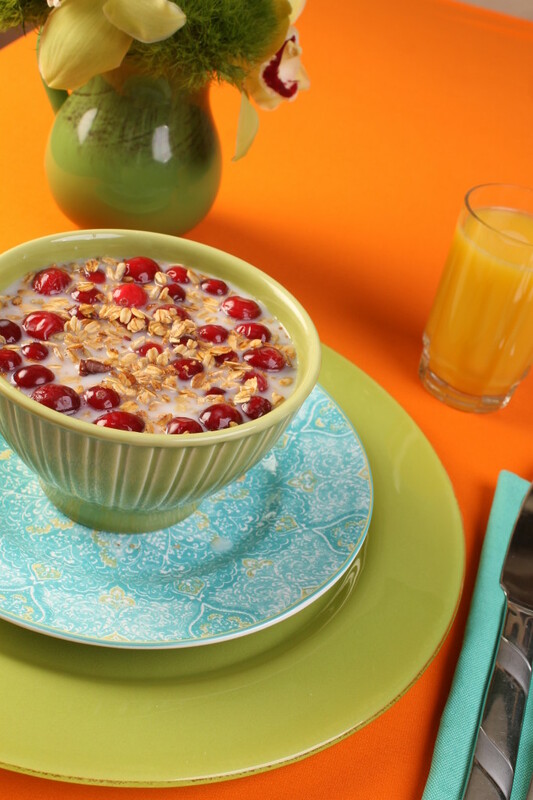 Goldbaum’s will soon have available a new line of gluten-free grains such as apple cinnamon flavored oatmeal as well as quinoa flakes and buckwheat flakes to make warm and nourishing breakfast cereals. 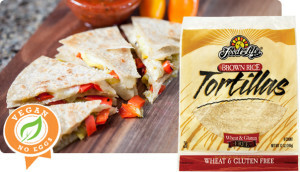 Food For Life provide a line of wholesome gluten-free wraps.